How many times have you been into your child’s bedroom and realized there’s no room to walk, let alone find a place to put away their books, laundry or toys? 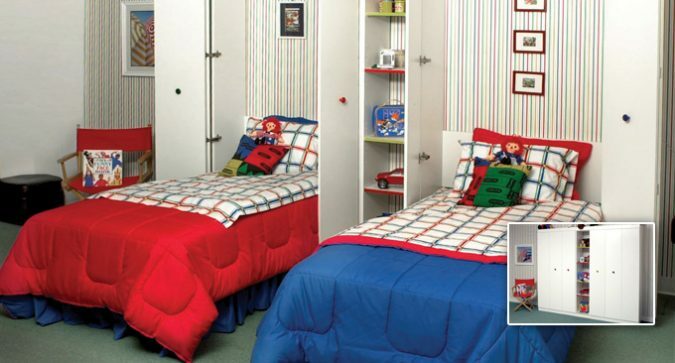 More Space Place recognizes not all kids bedroom furniture is created equally. Our wide selection of custom built combination furniture is designed just for them. And best of all, it maximizes the space in their room for sleeping, playing and studying. 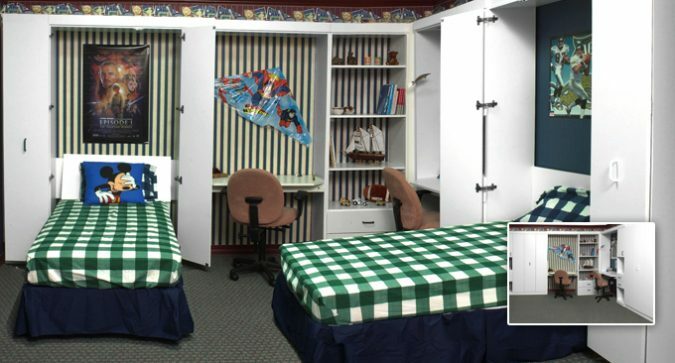 Twin Murphy beds with double desks and twin panel beds with cabinets are comfortable and convenient, plus help keep rooms neat. 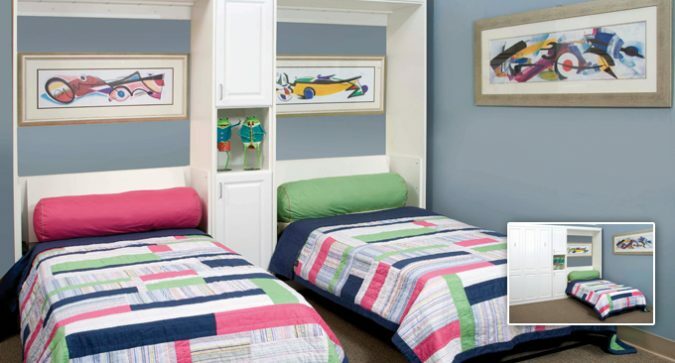 Our professional designers also build customized children’s closets with space-saving a variety of organizational components including: cubbies, drawers, shelves, and more. 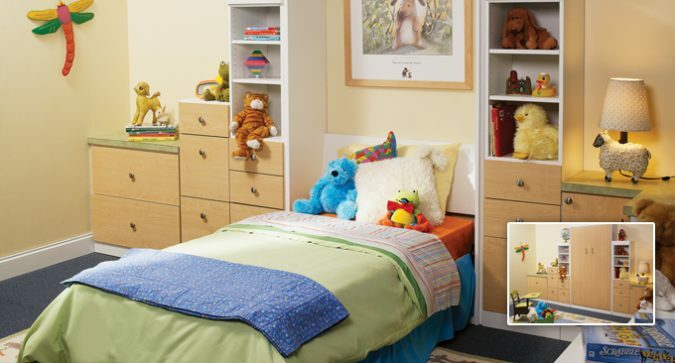 Your child’s custom closet is designed to keep them organized, so maybe they will learn to keep their room cleaner. More Space Place has professional installers to make sure kids bedroom furniture and custom closets are installed properly and quickly. Contact us for more on our installation process. Visit a More Space Place Store in your area today! You’ve decided to relocate from a big house to a smaller condo, so having a large bed, bookshelves, and a desk all in your bedroom just isn’t an option. Or is it? 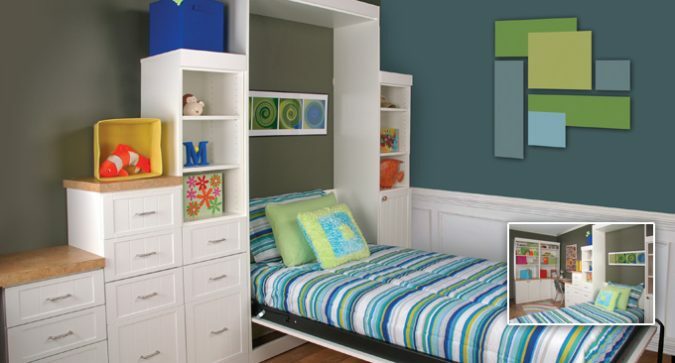 A Murphy bed or wall bed could be a perfect solution for the room you didn’t think was possible.